Material: 92% nylon, 8% elastane. Lining: 100% polyester. 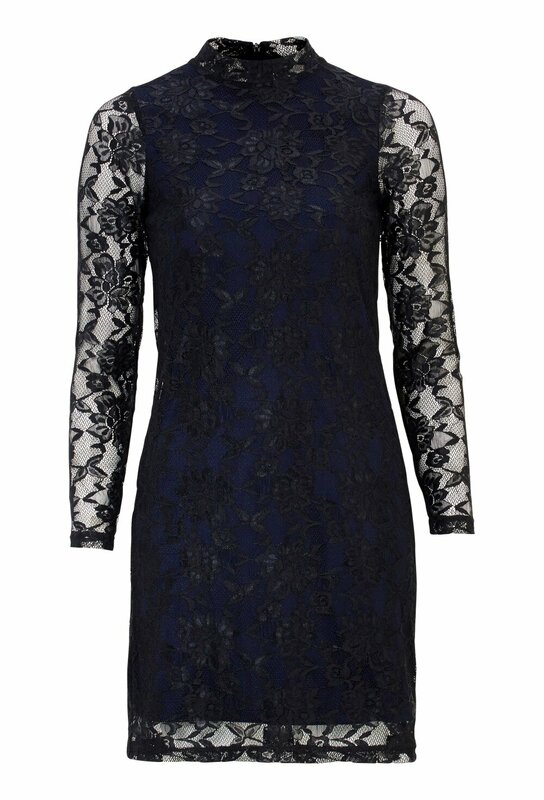 Festive and pretty lace dress in a flattering fit from HAPPY HOLLY. The dress has a contrast color lining and a short turtleneck. Length from shoulder 92 cm, bust 90 cm in size 36/38.